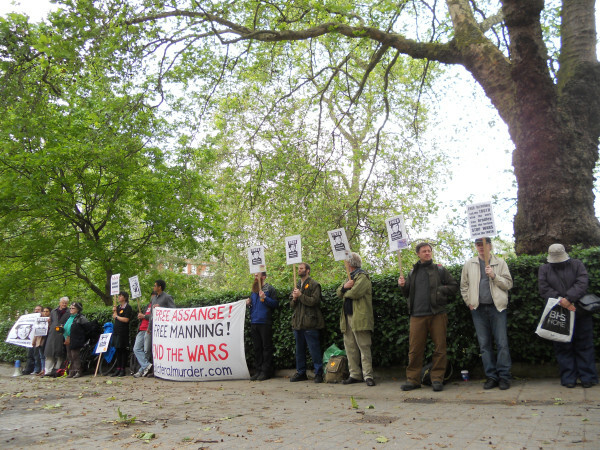 Bradley Manning is back in court for a motion hearing on 25 June 2012. A solidarity vigil has been organised on Monday 25 June 2012 at 1500hrs (3pm) at the US Embassy. We will start with a 30 minute silent vigil facing the embassy. This will be followed by speeches and music. Veterans for Peace UK and London Catholic Worker will be bringing placards and banners but please feel free to make / bring your own. 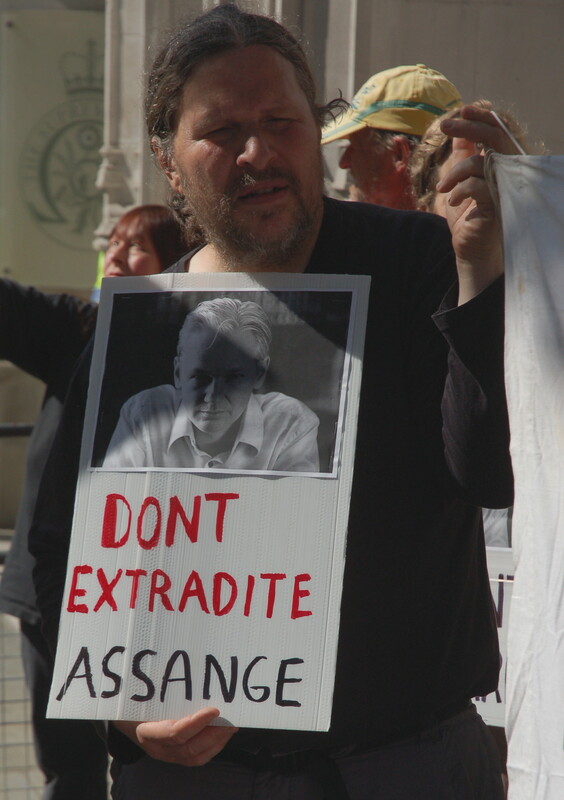 Join with VfP and demand that Sweden abandons the extradition of Julian Assange. The 10 day window for Julian Assange’s extradition to Sweden opens on the following day. Gallery | This entry was posted in Announcements, Assange, Manning and tagged anti-militarism, anti-war, Bradley Manning, call-out, Catholic Worker, extradition, Julian Assange, London, rally, solidarity, Sweden, Swedish Embassy, US Embassy, Veterans for Peace, vigil. Bookmark the permalink.